I put a GoPro mount on the top of our John Deere 1025R tractor’s ROPS, and gave it a try a few days ago by recording the process to reconnect the H120 loader. I really enjoy how easily the attachments go on and off with the 1025R because it makes it very easy to get into the job to be done. 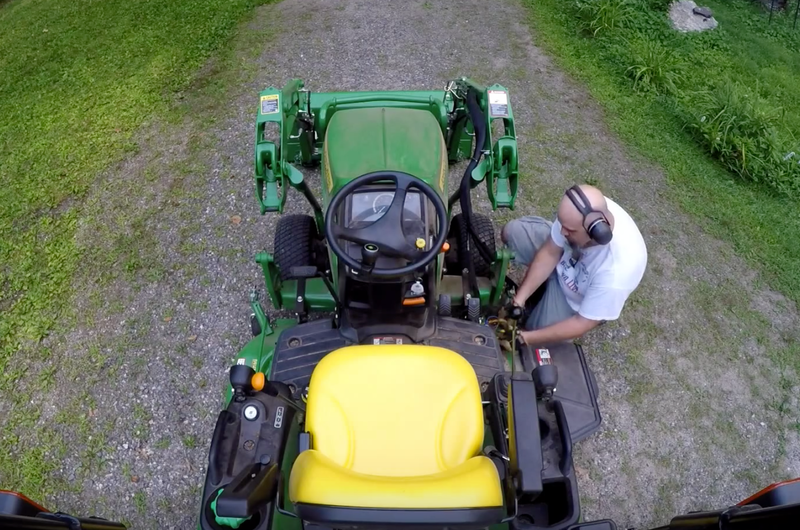 (In this case, I had removed the loader to mow, and this video was shot after mowing.) In this video, I didn’t line up to the loader quite right, so putting the loader on took a little maneuvering — but it was still quick at only about three minutes.